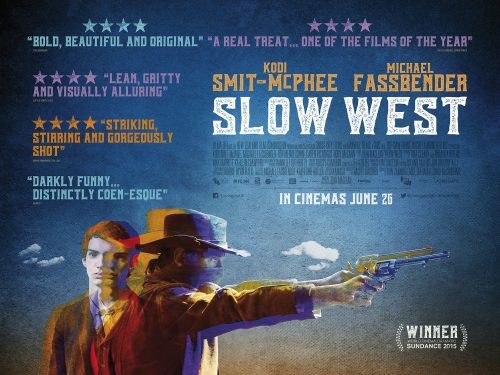 Slow West has been sitting in my in-box for a couple of days now. It something that happens if it’s a busy week for film stuff. Most of the time I would just delete stuff that doesn’t grab my interests as well. This one was very close to be in the second camp. It was the cast that lkept it from its fate of deletionn. After watching the trailer and having a look at the poster, it was a good choice. It has a strange feel. A mix of classic western with a twist. Very much in the Coen brothers feel. It’s a strange movie. It does seem to be full of laughs. Some because it’s funny, other times because it’s painful!